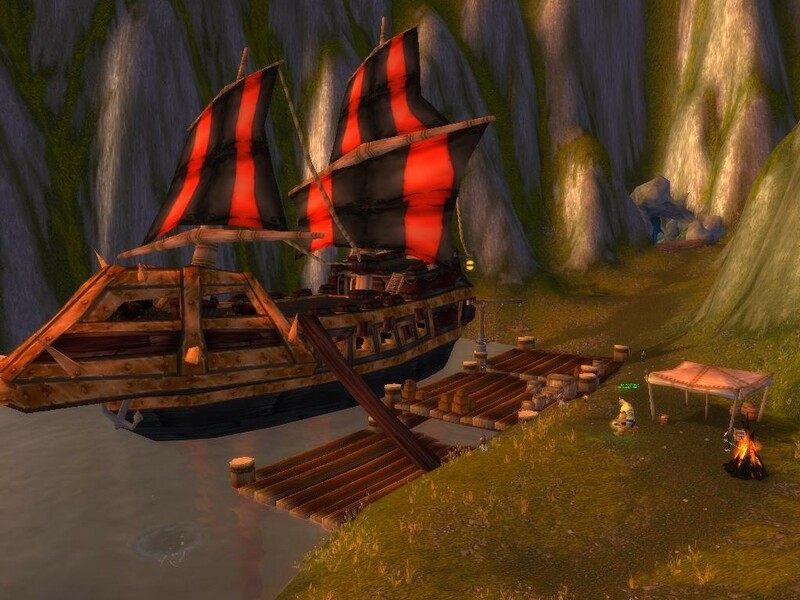 Episode #28 Timecapsule: Trapped in a natural harbor on the Arathi coast, a crew of Blackwater Raider pirates have found themselves shipwrecked! This hidden location is well designed and will reward the explorer with a small set of quests to assist the water-logged pirates. Without a guarantee that this crew will exist after the Cataclysm, take the time now to visit Faldir’s Cove’s sunken ships, docked Harbinger, shallow mountain cave, and rag-tag crew. This entry was posted	on Monday, November 15th, 2010 at 10:05 pm	and is filed under Podcast Episodes. You can follow any responses to this entry through the RSS 2.0 feed. You can skip to the end and leave a response. Pinging is currently not allowed. Love your podcast. Now that the Shattering draws close, I took the time to actually visit some of the “hidden” places. Your podcast kind of inspired me to do that. Keep up the good work. Thank you! I hope that the Shattered world will continue to provide us all with some very interesting places to explore & discuss. Thank you very much for these podcasts, just prior to the Shattering I started to explore these areas and this one, Faldir’s Cove, I went to the night prior to the Shattering with a guildmate. It was incredible, six years I’ve played this game, and there are still so many places I have never seen! Finding Faldir’s Cove made for a great close to pre-Shattering Azeroth for my buddy and I, and I greatly appreciate what you do and the quality of the show. Very glad to hear that you not only enjoy the podcast, but were able to visit Faldir’s Cove before the Shattering of Azeroth. It will be fun to re-discover the reshaped world & uncover the newest ‘hidden’ areas of WoW. Thanks again for your kind words.